Derry City failed to make the extra man count as they were held by Longford in the Premier Division on Saturday. Longford played most of the match with 10 men as Connor Powell was sent-off in the 21st-minute for a poor tackle. The Candystripes had their best effort in the 56th minute when Mark Timlin's fine shot was tipped on to the bar by Town keeper Paul Skinner. The ball fell to City striker Anthony Elding but he appeared to stumble and was unable to capitalise. Victory at a wet and windy City Calling Stadium would have seen Peter Hutton's Derry move above Longford in the table. But the teams stay locked on 12 points in mid-table. They have an identical goal difference and Longford are in sixth place as they have scored more goals than City. 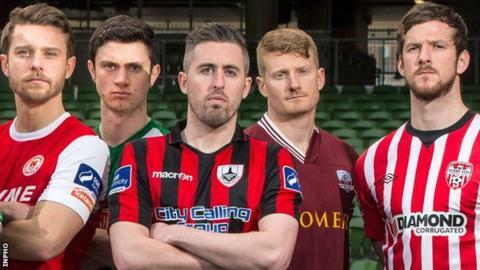 Derry have won just one of their last six league fixtures and are next in action when they host Galway United on Friday, 8 May.